​Looking for a unique date night opportunity? Why not share your love of food and cooking with your special someone? 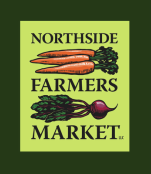 The Northside Farmers Market is launching a new set of cooking classes for couples! In the first class, to be held on February 8th from 5:30-7pm, you and your sweetheart will have the opportunity to create something delicious with items from the market. Learn to make homemade sweet potato gnocchi with a decadent cinnamon butter sauce! During this time of year, our beloved sweet potato can start to feel like a re-run. Why not learn how to jazz it up in a new variation on a theme and enjoy time with your loved one? GLUTEN FREE and VEGETARIAN! Celebrate Cinco de Mayo a month early! Make your own handmade tortillas and tacos. 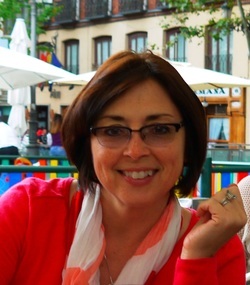 Mary Pat McKee MS, RD, LD has been a Registered Dietitian for 30 years. She's lived in the south both in New Orleans and Orlando but the main part of her nutrition career has been at Cincinnati Children’s Hospital. "For the past several years, my husband and I lived in Toulouse France where I was able to pursue my real passion: food! The city is situated at the foothills of the Pyrenees between the Atlantic Ocean and the Mediterranean Sea. Toulouse has several spectacular covered markets specializing in meat, poultry and seafood as well as fresh produce and cheeses from the local area. Everything was in abundance and always seasonal and fresh. I did not have a work visa, so I spent all of my time at the markets searching for the best seasonal ingredients to prepare our meals. I took advantage of my free time and perfected many recipes and cooking techniques. I am delighted to share my knowledge of nutrition and my passion for eating well in every season with the clients of the Northside Farmer’s Market."